With each turn in your path, the Luberon Mountains offer a new discovery! Join us and create an adventure all of your own on your walking holiday in France. 1000-year-old perched villages rising spectacularly from the valleys below, many of which are considered the most beautiful in France. Open fields laden with poppies and wildflowers; centuries’ old stone huts that offer the most intimate of picnic spots; beautiful trails far from the beaten track. Your hiking vacation in Provence begins in the town of Isle-sur-la-Sorgue, with its antiques and Venice-like canals, your journeys will take you through the mysterious springs of Fontaine de Vaucluse, famed villages such as Gordes and Bonnieux, the spectacular Aiguebrun River, and some of France’s most beautiful walking paths to link it all together. Why not create memories and live for today while enjoying your walking holiday in Provence! Arrive in the town of Isle-sur-la-Sorgue, the veritable island of a village, surrounded by the crystal clear waters of the Sorgue river. The town’s Sunday market is among the most colourful in Provence, while its canals are bordered by quaint cafés, restaurants, and antique shops. Lose yourself among a labyrinth of narrow streets and in the town’s warm, Provençal charm. Today you will have a short transfer by taxi which will take you to Fontaine de Vaucluse; the mysterious spring that heads the Sorgue River. Through cedar forests, you follow a 300-year-old mur de la peste: a stone wall built to protect Provence from the 1720 plague. After walking through Cabrières and seeing the castle, the path leads to Gordes, a town built of majestic grey limestone which rising dramatically out of the valley and crowned by its Renaissance castle. 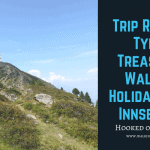 Today’s circular walk takes you through thyme laden fields dotted with old stone huts, and down into the Sénancole valley. Soon Sénanque Abbey will appear, built in 1148, and still in use, the abbey is one of the best conserved Romanesque buildings in France, and certainly one of its most magnificent. You will have time to explore the abbey before returning to Gordes via a cobbled path. First a short morning transfer to the village of Goult. Crossing the Calavon valley you pass the ruins of ancient stone farmhouses before reaching the town of Lacoste. Crowned by the ruins of the castle of the Marquis de Sade, Lacoste offers a stunning ensemble of old village gates and cobbled streets, not to mention the haunting allure of the castle and its Marquis. A great place to have a picnic, or lunch in the very nice restaurant “Café de France”. You then continue to Bonnieux, another gem of the Luberon, immortalized in Peter Mayle’s A Year in Provence. Visit its beautiful town squares and the old cobbled steps leading to its 12th-century church. Climbing to the highest reaches of the Luberon mountains you reach its cedar forest, its dark green canopy providing the perfect shade and shelter for a picnic lunch, and awe-inspiring views extending from the Alps all the way to the Mediterranean Sea. The first half of the walk is leisurely, along with back country roads. Look back from time to time before the village of Bonnieux disappears from view. On the plateaus, you walk through truffle oak plantations and by exquisite stone villas. After the Col du Pointu pass you’ve reached the Grand Luberon. A quaint path through the oak forests leads to the Château de Buoux, then up to the 12th century Chapelle de Ste. Marie. Passing the tiny village of Buoux you walk alongside imposing cliffs (not too close though), before taking a magical cobbled mule track descending in hairpin turns to the base of the Aiguebrun Valley, where you’ll find the charming and surprising Auberge des Seguins. Following the Aiguebrun valley, encased between limestone walls, the vegetation is lush. Climbing out of the valley, you pass open fields and ancient terrace walls, on your way to the hidden village of Sivergues. Only a handful of homes set around a single cobbled street, Sivergues counts a population of only 40 souls. Above the village, a spring is handy to fill your water bottles. You continue ascending through the Mediterranean brush, including winter savoury and wild lavender, and before long you reach the very crest of the Luberon, a rounded summit laden with a carpet of thyme. From here the views can extend all the way to the Alps and to the Mediterranean Sea. Descending back to the Auberge you can take a detour to visit the 3000-year-old Buoux Fort, whose ruins include a mishmash Celto-Ligurian, Roman, and medieval architecture built atop one another, the whole lot sitting above a rocky crag with sheer cliffs and awe-inspiring views. When staying in our standard accommodation you will be taken back in time; no television, no wifi, or phone reception. It is your time to disconnect and enjoy the tranquil setting. For your 1 included meal, our hosts will cook you a homemade Provencal style dinner. You will eat at the large farm tables and enjoy the company of others. By plane to Marseilles, Avignon, Nimes or Nice and then a train to Isle sur la Sorgue. Request a private transfer Marseilles to Isle sur la Sorgue (1-4 persons), Marseilles to Avignon (1-4 persons).